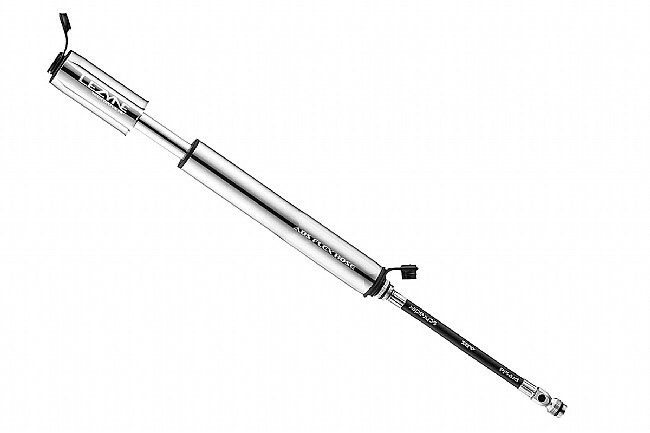 The Tech Drive HP Hand Pump from Lezyne features a lightweight, CNC machined aluminum barrel, piston and handle. The efficient and compact overlapping handle is optimized for high pressure application. The Flip-Thread Chuck and ABS Flex Hose contain secure threaded connections for simple application and fast inflation via Presta, Dunlop, and Shrader valves. I am very pleased with the performance of this hand pump. It fits comfortably in my jersey pocket while on rides, and on the occasions I've used it, I've been pleased with the form, function and overall performance. I would purchase this again if needed.